One of Bolton’s students protested that the teacher was reading far too much into the film. Days later, the class gathered to watch Innocence, Oshii’s sequel to Ghost in the Shell. 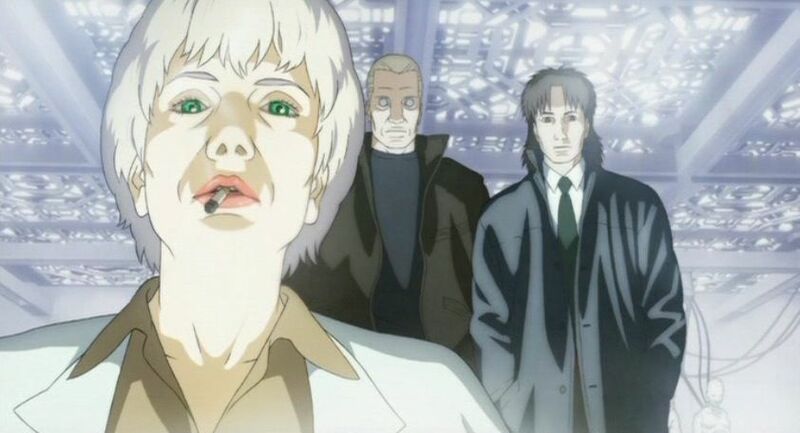 Early on, Section 9 investigators Batou and Togusa interview a languid woman scientist about the natures of dolls and cyborgs. Her name? Haraway. Some readers will see this as self-evident; others may need persuasion. Interpreting Anime caters to both camps. It’s an admirably written book, fantastically accessible for readers with next to no knowledge of academic theory. There’s no jargon, no assumed frame of reference. Bolton explains complex webs of theory patiently, lucidly, elegantly and concisely. Each of the seven main chapters incorporates guided tours through portions of postmodernism, feminism, film theory, queer theory and more. For anyone complaining about imposing gaijin viewpoints, the book brings in “Ota-king” Toshio Okada; Tamaki Saito, who psycho-analysed the Beautiful Fighting Girl, and media theorist Hiroki Azuma. For teachers thinking of using select chapters, they are highly readable in isolation, but the book’s most absorbing read chronologically. Bolton knows his anime onions. He fills in the backgrounds of the works he covers with more of his graceful concision. I caught two slips – Miyazaki began his anime career in 1963, not 1956, and an arguable error where Bolton says the virtual OZ world in Hosoda’s Summer Wars is inspired by the “Superflat” art of Takashi Murakami. Hosoda himself has said that wasn’t so, though Bolton might retort that Hosoda is in denial on this point. Pickier fans, however, may have issues with the anime Bolton chooses to focus on. The seven main chapters cover Akira (discussing both film and manga); Patlabor 2, directed by Mamoru Oshii; Oshii’s first Ghost (plus some pages on Innocence); the video series 3×3 Eyes (with some comparison to Vampire Princess Miyu); Satoshi Kon’s Millennium Actress; the anime iterations of the Blood franchise; and Miyazaki’s Howl’s Moving Castle, set against the source British novel by Diana Wynne Jones. Fans may protest most of these works and their creators have received considerable critical coverage already. They may also complain that these works – mostly movies – are arguably unrepresentative of anime, which is mostly made for TV. Early on, Bolton argues films are more suited than TV to “close visual readings” – they are certainly more readily digested in a classroom setting. Later, he makes clear he’s not well-disposed towards TV anime anyway. He writes: “The formulaic quality that often characterises television can quickly undermine any sense of critical perspective… Long-running anime series often turn on rigidly repeating formulas.” The possible pleasures of such formulae are of no critical interest, it seems. Nor does Bolton suggest there’s much hope of craft or creativity existing alongside formulae, or in them. That’s likely to get some fans’ backs up. I suspect, though, that what’ll really upset them is Bolton’s discussion of the TV versions of Blood. He dismisses the long 2005 series Blood+ as worthless repetition, “the same trivial script replayed endlessly without any room for self-awareness and choice.” On the other hand, he approves enthusiastically of 2011’s aggressively warped Blood-C, its “metafictional” twists “a revelation of anime’s own hollowed-out conventions.” From the bilious fan reviews of Blood-C I’ve seen, I predict many readers won’t finish the Blood chapter without hurling the book across the room. A shame, as Bolton could have chosen a more fan-esteemed show about hollowed-out conventions – Madoka Magica, for one. This brings up standards in anime, and the argy-bargy that surrounds them. A while ago, I wrote about a different kind of anime appreciation, sakuga fandom – fans who highlight the animation of anime. That discussion raised a basic divide between fans who watch anime for “boring old characters and plot” and those who think other things are equally or more important. Those things might be sakuga aesthetics, new ways to think about the self; or progressive politics… and there we should pause. Interpreting Anime is no radical harangue, but it takes political stances, and that’ll trigger some fans in 2018. The rebuttal, of course is that any effort to exclude politics from pop-culture is itself toxically political. As with the authorial-intent argument above, some of Interpreting Anime’s axioms are seen as self-evident in much academia; newbies may find them less obvious. Take gender theory, one of the few topics that maddens people more than The Last Jedi. Bolton takes as read that any notion of substantial, let alone essential differences, between male and female is a dangerous illusion – they’re social constructs. Anime that erodes them is progressive (good), and anime that doesn’t is conservative (bad). The problem is that readers who aren’t already convinced of the rightness of Bolton’s gender politics – and perhaps some who are – will find this bid to disavow certainties pretty rich. And there are predictable comebacks. The student who objected to Bolton citing Haraway might have been suggesting that Bolton was using Ghost as a front to indoctrinate students. I’m intrigued by this suggestion, but unsure of it. It’s hard to quantify; does anime “oscillate” more for its viewers than artful live-action films, from Tokyo Story to Pulp Fiction to Dunkirk do for theirs? The argument gets muddier; later Bolton seems to say that only a minority of anime “oscillate” in the way he’d describing. Most TV anime doesn’t, he suggests; nor do Miyazaki’s films, which are “all-encompassing” experiences. Moving onto Bolton’s by-anime analyses, I followed them with great enjoyment, but frequent disagreement. 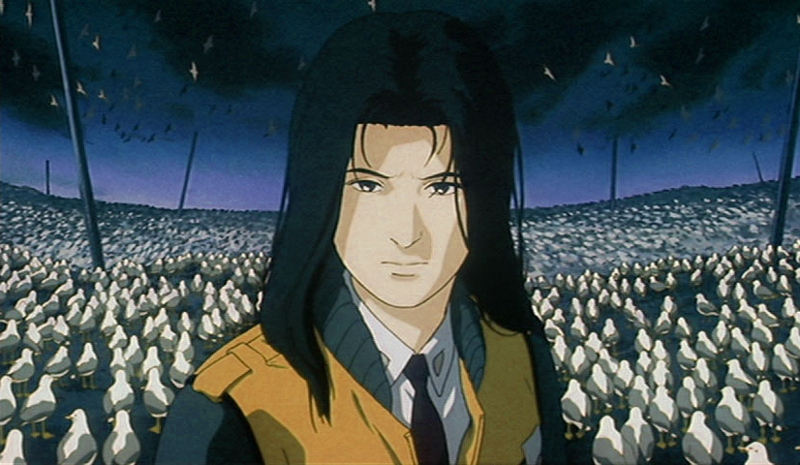 For example, Bolton presents Akira as a postmodern treatment of politics: I see it as a portrait of teen boys in all their immaturity and cockiness, their raging hates and sentimental bonds. What Bolton sees as chaotic subplots, I see as immersion, though an immersion that’s nearer to Blade Runner than Miyazaki, where worlds bleed off the screen in all directions. 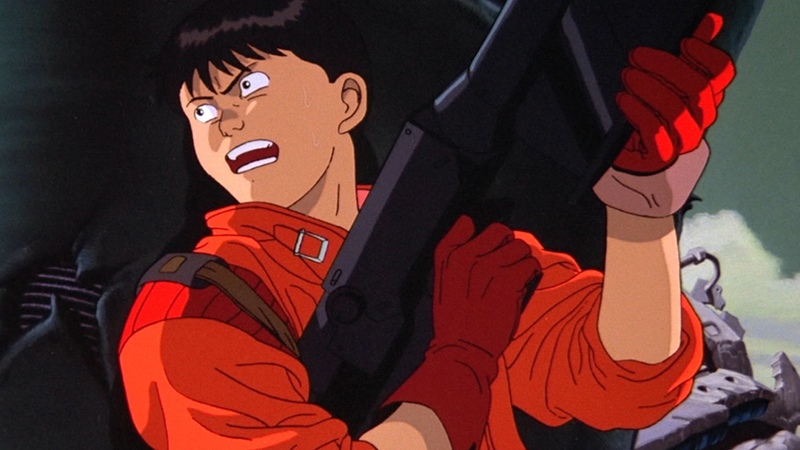 As Bolton acknowledges, Akira’s feeling of “chaos” at least partly reflects its assumption that much of the Japanese audience was up to speed on the source material, Otomo’s original manga. Is Akira any more confusing than fantasy Hollywood today: the later Harry Potter films, or Avengers: Infinity War? The Patlabor 2 chapter argues ingeniously that Oshii’s visuals lead us to consider media and mediated vision. While this is plausible, I have trouble seeing it as a central pillar of the film. Rather, Patlabor 2’s best sequences seem seen through the eyes of a lyrically melancholic poet – the one who’d later give us the canal in Ghost. And it’s strange, if Patlabor 2 is meant to make us think about mediated vision, that that the film should feel closer to live-action than… well, than pretty much any other anime ever. There are indeed many screens and sensor displays in Patlabor 2, and Oshii critiques our reliance on them, but I can’t take the theme as far as Bolton does. Oshii’s Ghost in the Shell lets Bolton give his “oscillation” idea a thorough work-out. Rarely has a protagonist looked so human in some scenes, so alien and artificial in others. Bolton continually pushes the metaphor of Kusanagi as a puppet; this leads into a long discussion of how a puppet’s need for operators suggests new philosophical models (or replacements) for the notion of “self”. Oshii’s fascination with puppets is obvious from Innocence, of course. A problem, though, is that while Bolton describes Kusanagi as “enfolded” in the film by conspiracies, it’s hard to think of an anime protagonist who appears so reflective, so active, so autonomous on screen. Despite her artificial, oft-abused body, surely Kusanagi is the opposite of a puppet? Moving on to Satoshi Kon’s Millennium Actress, Bolton links it to the feminist theories of Judith Butler (Gender Trouble). Using their framework, he looks at the multiple film roles and guises of Kon’s heroine, Chiyoko, and argues they expose the “arbitrariness and artificiality” of female genre stereotypes; “gender becomes just another genre.” If so, Actress would seem a half-hearted demolition compared to Vertigo or Mulholland Drive. Despite her multiple guises, we always seem to be watching the same fundamental Chiyoko. Kon never has her perform a villainess in the film, for example. 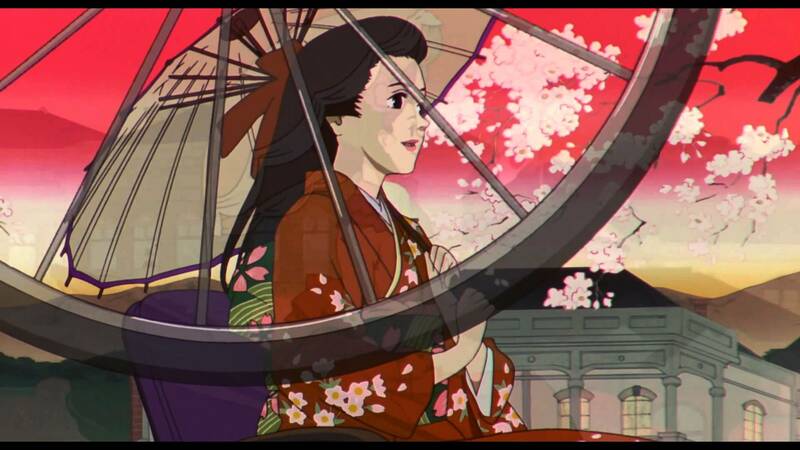 Whereas Kon’s Perfect Blue did have fractured, shattered characters, Actress shows a character assembling from myriad parts, culminating in the climactic montage as Chiyoko races to Hokkaido and the moon. In a footnote, Bolton criticises the “pat endings” of some Kon films, but adds: “One can recover an interesting if unsettling sense of openness if one considers that these happy endings might be further simulations or delusions.” The reader might object that, by this point, Bolton really is seeing what he wants to see. In the 3×3 Eyes chapter, Bolton considers anime’s frequent use of story devices such as amnesiac, rebooted or merged composite characters (also common currency in American superhero strips). For Bolton, these “relativise conventional gender identities and gender roles… The results make these anime interesting to many contemporary critics.” Again, Bolton’s interesting cart seems to go before his interpretative horse. For the original Blood: The Last Vampire, Bolton offers a political analysis, He suggests the vampire-slaying Saya is “a sexual fantasy cobbled together from fetishistic images” (which is uncontroversial!) but also that she’s also “a fantasy of national identity and agency.” I fear that, silly as fetish-Saya is, I found the political reading far sillier, and that’s despite the film’s obviously politicised setting – a US army base in Japan – and Oshii’s part in the project. If Oshii told me himself that Bolton is right about the subtext, I still couldn’t believe in it. 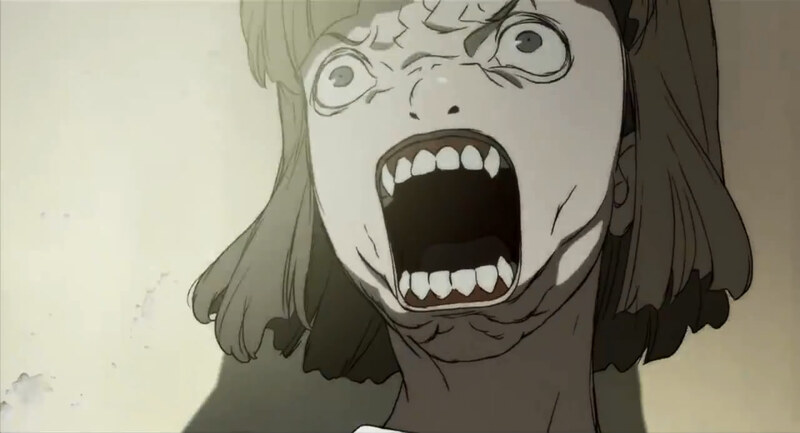 The Blood chapter also draws on animation theories from Thomas Lamarre’s The Anime Machine, with which I have other issues – especially that Lamarre seems to argue that images like this, this and this shouldn’t be in anime. And so ends my devil’s advocacy, none of which affects my praise of the book’s superb writing, reader friendliness and epic journey. It dares go deeper than the stories in anime, but its discussions have the rhythms of good stories themselves. Its accessibility is only increased by a very reasonable price tag. Andrew Osmond is the author of 100 Animated Feature Films. 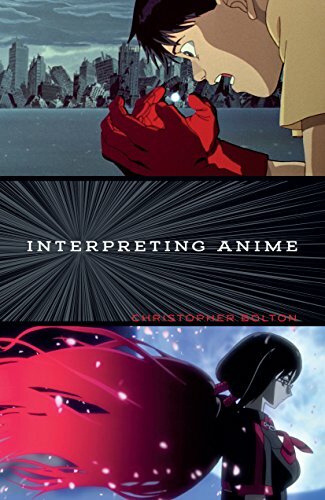 Christopher Bolton’s Interpreting Anime is available from the University of Minnesota Press.